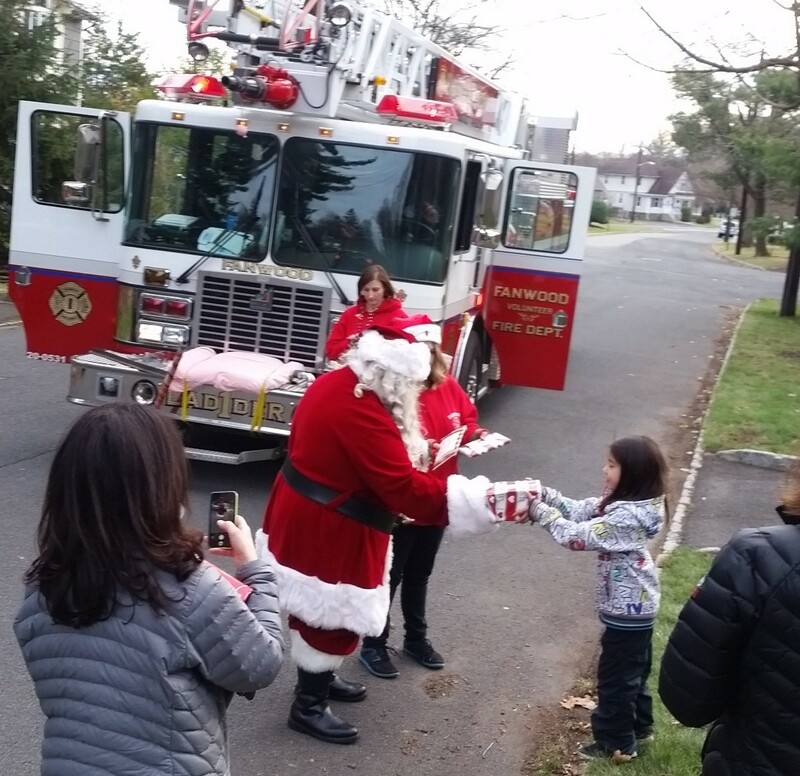 Kids of all ages were smiling as Santa made his annual ride through Fanwood. 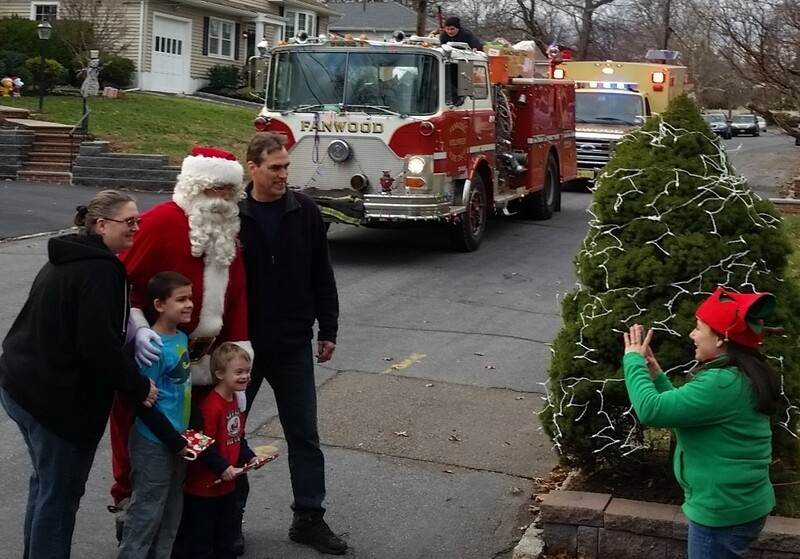 The Fanwood Fire Department assisted the Fanwood Lions Club with Christmas Tree sales at LaGrande Park. This was the 65th year the Lions club has been selling trees. 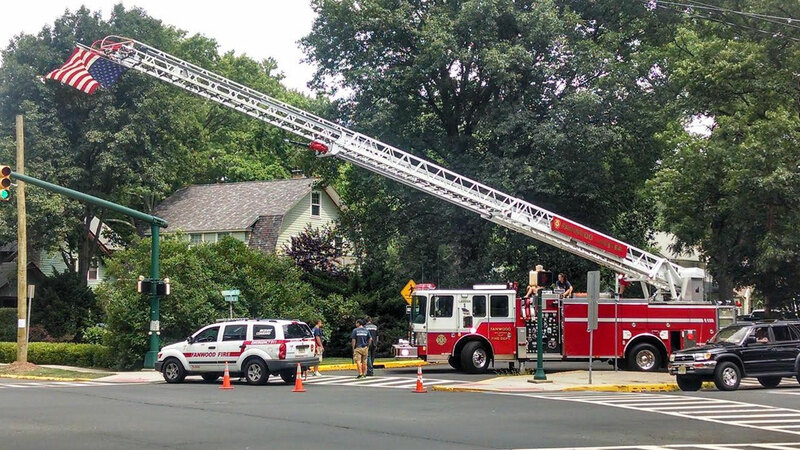 Fanwood FD responded to a home on Madison Avenue for a dryer fire with heavy smoke in the basement. The incident was brought under control quickly with no injuries. A driver lost control of her vehicle, hitting a retaining wall at the intersection of Terrill and LaGrande. Union County HAZMAT assisted due to the large amount of fuel and fluids that leaked from the car. 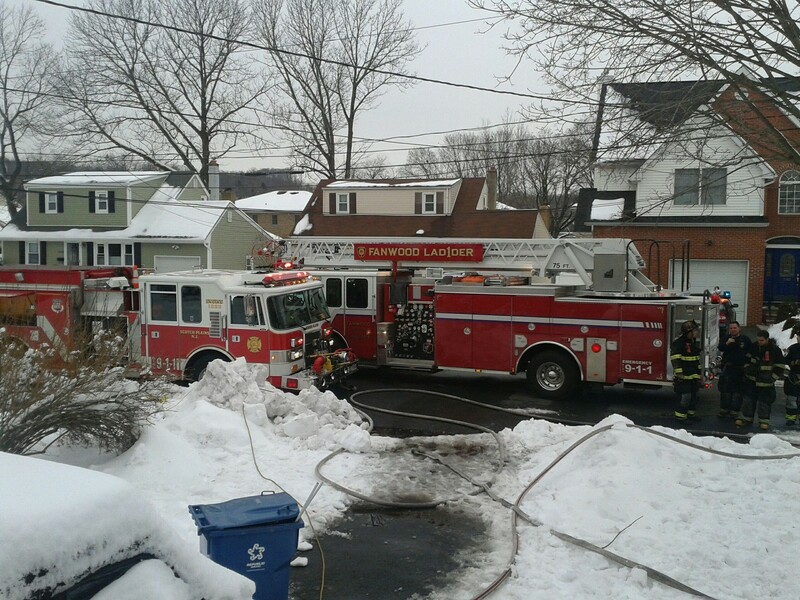 Fanwood Ladder 1 responded on mutual aid to a basement fire on Lyde Place in Scotch Plains. 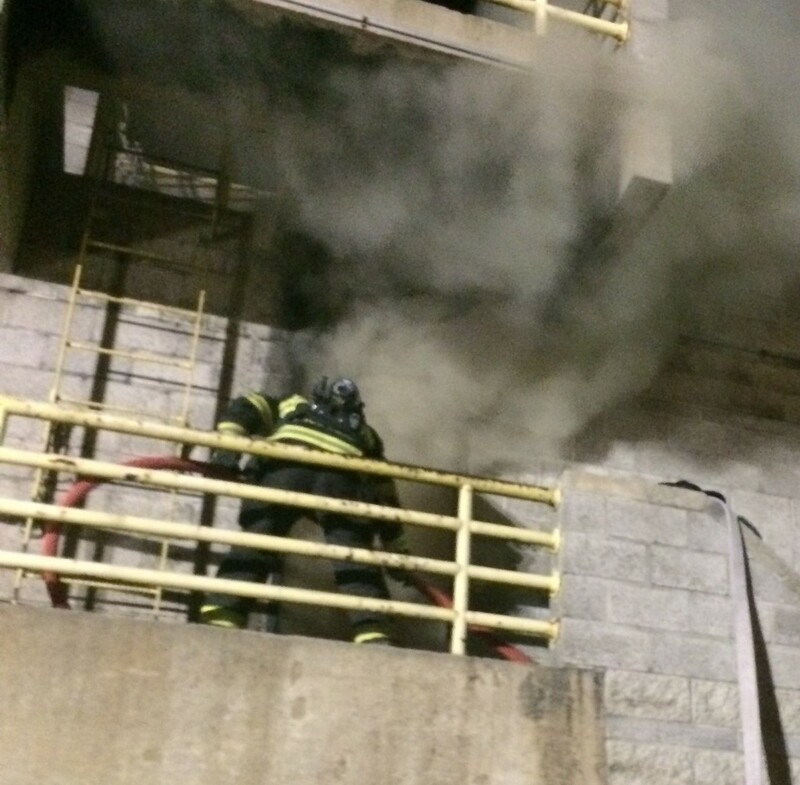 The crew performed primary searches and overhaul. 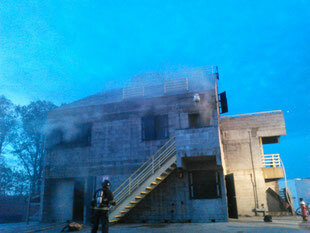 Fanwood FD ran drills in the county's burn building in Linden. Tasks included nozzle teams finding and putting out the fire, a search team looking for victims, a crew laddering windows for entry/egress and ventilation, a pump operator ensuring adequate and safe water supply, and a command team monitoring progress and issuing orders. 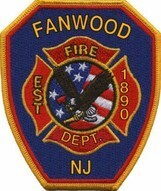 Within minutes of each other, Fanwood crews were dispatched to assist Scotch Plains at a major single-car accident on Route 22 near Westfield Road, and a primary wire down on Redwood Road that was burning on the ground and had extended to a tree. 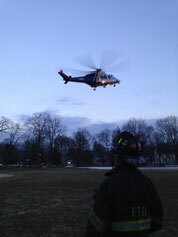 Additional assistance was provided for a NorthStar medevac landing zone at SPF High School. Engine 8 and Ladder 1 in service at the Chelsea Lofts. South Avenue was closed due to an oven fire and heavy smoke condition at the Chelsea Lofts. Several elderly residents were evacuated. 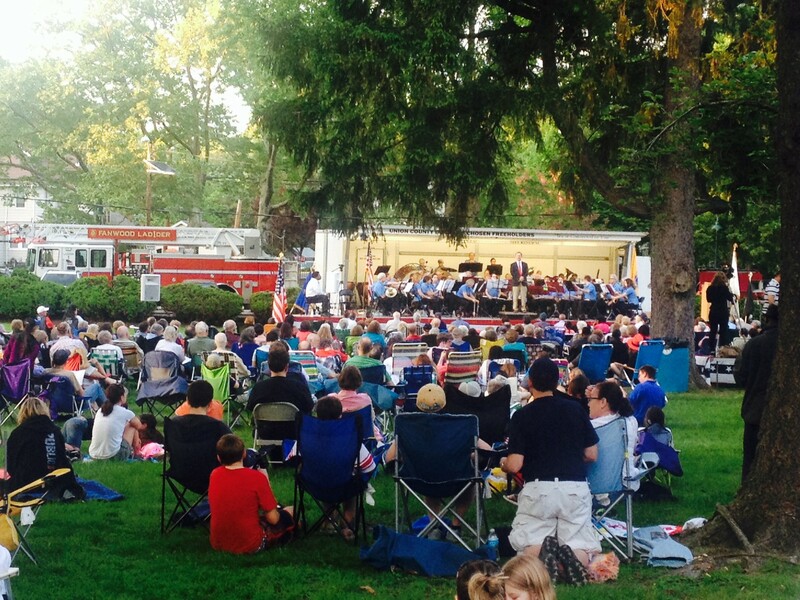 Nearby towns including Scotch Plains and Plainfield provided mutual aid. 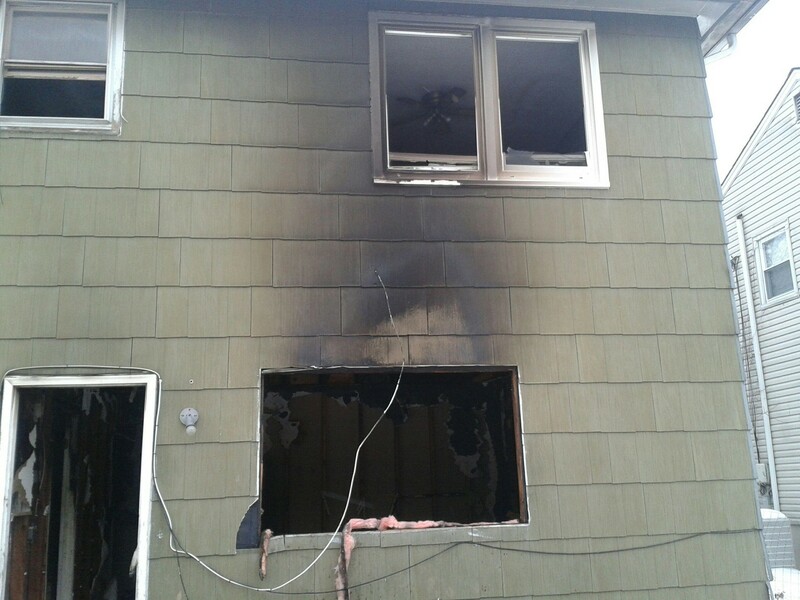 There were some minor injuries due to smoke inhalation. 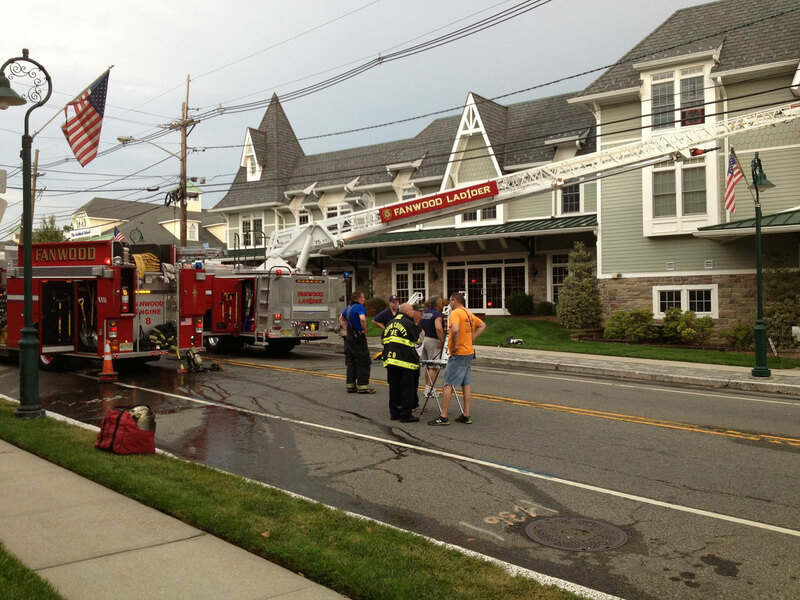 Fanwood FD provided mutual aid during a 4 alarm fire at a strip mall on South Avenue in Westfield. The crew extinguished a brush fire on the NJ Transit railroad tracks behind the mall. 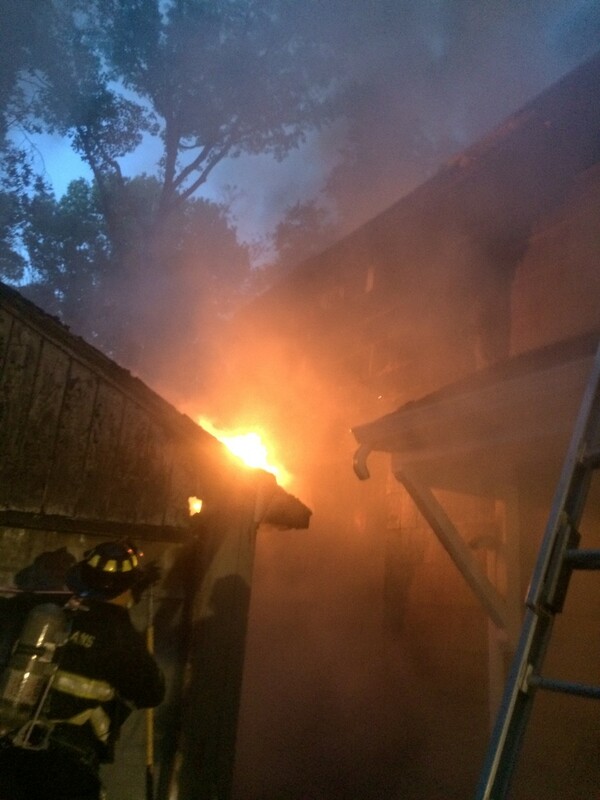 During a thunderstorm, Fanwood FD responded to a lightning strike at a home on 2nd Street. A portion of a chimney was broken off by the strike. Crews set up a collapse zone and checked the roof and attic for fire. There were no injuries. Ladder 1 set up with an American Flag at Martine and Midway supporting this 60 mile police-escorted bike ride. 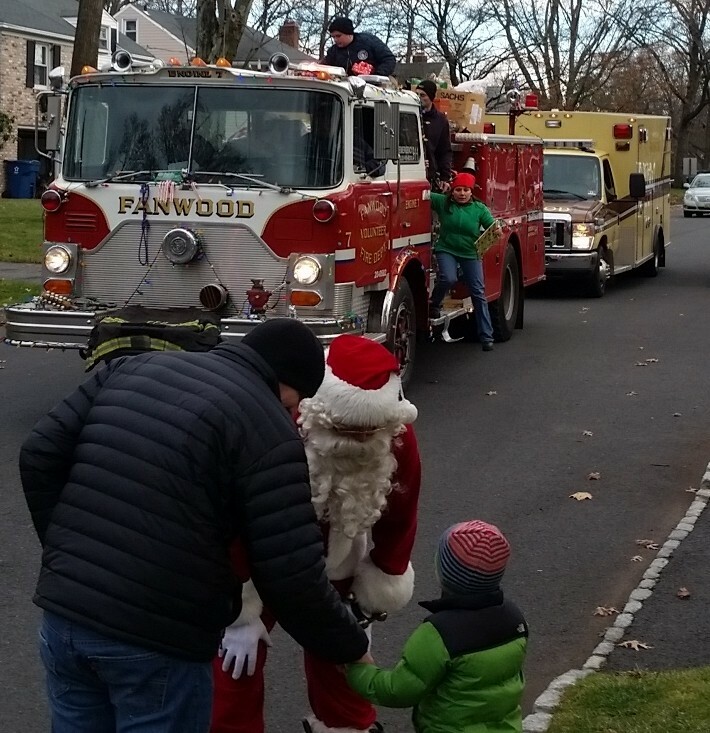 The Patriot's scoreboard displays Fanwood Fire Department's name. 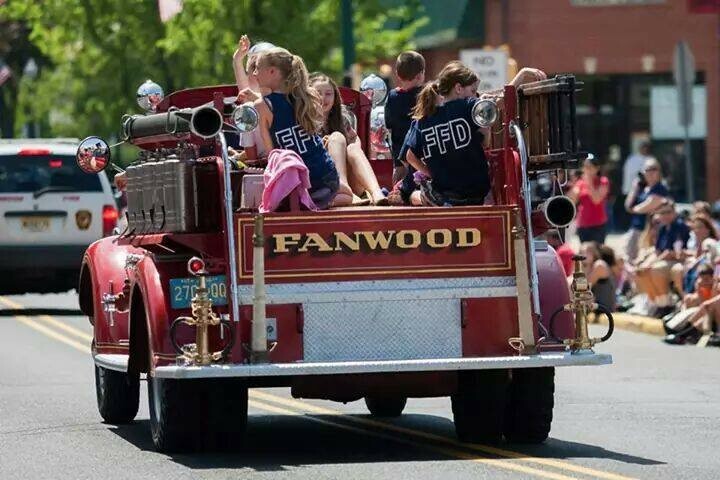 Members of the Fanwood Fire Department attended "First Responder's Day" hosted by the Somerset Patriots baseball team. 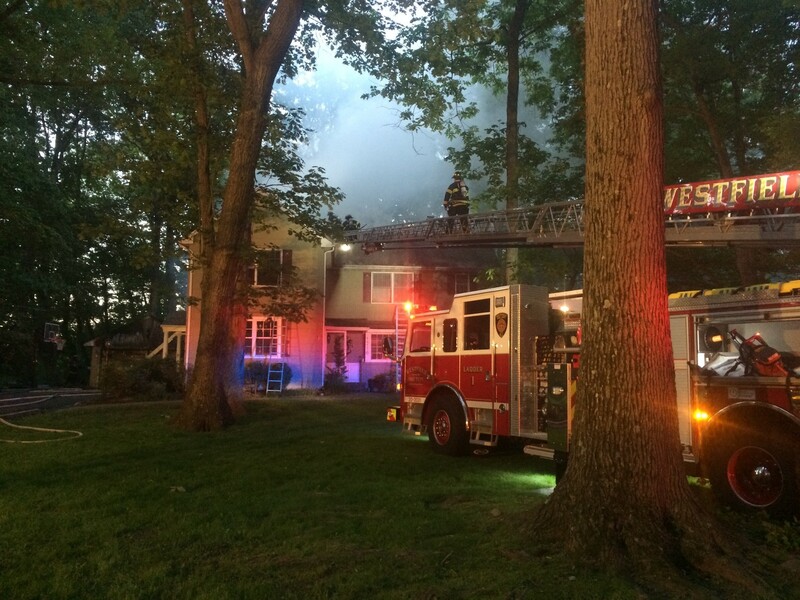 Fanwood FD responded on mutual aid to a house fire on Washington Street in Berkeley Heights. 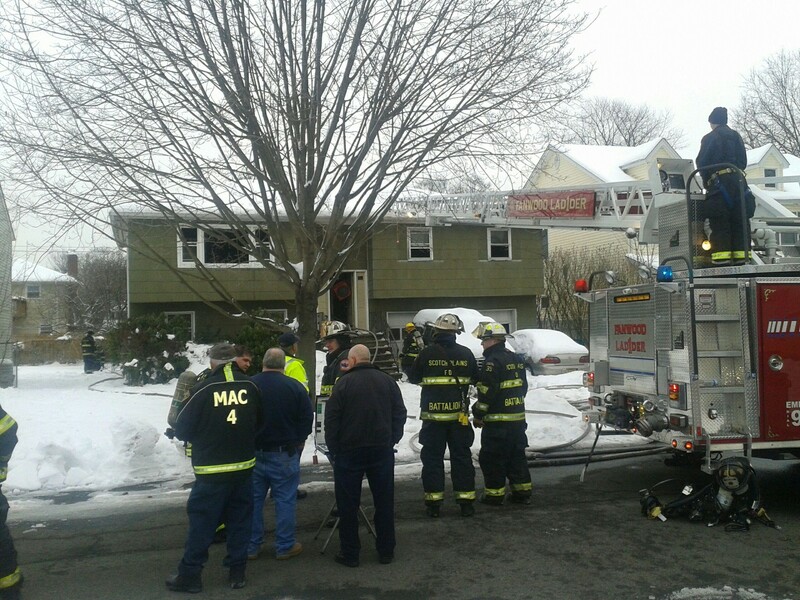 The crew assisted with overhaul on the first floor and in the attic. Probationary Firefighter Michael Miranda graduated from the Union County Fire Academy. 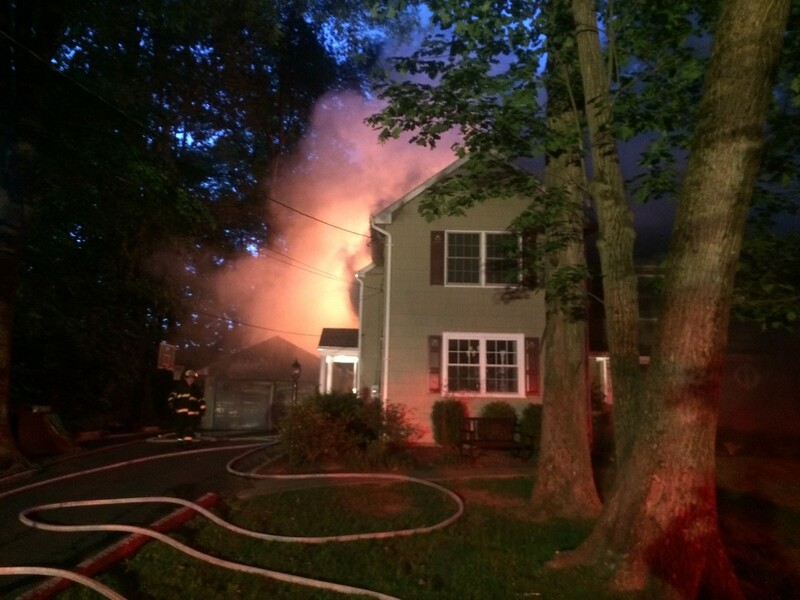 Ladder 1 provided mutual aid to Scotch Plains for a fire that began in a detached garage and spread to the house. Capt. 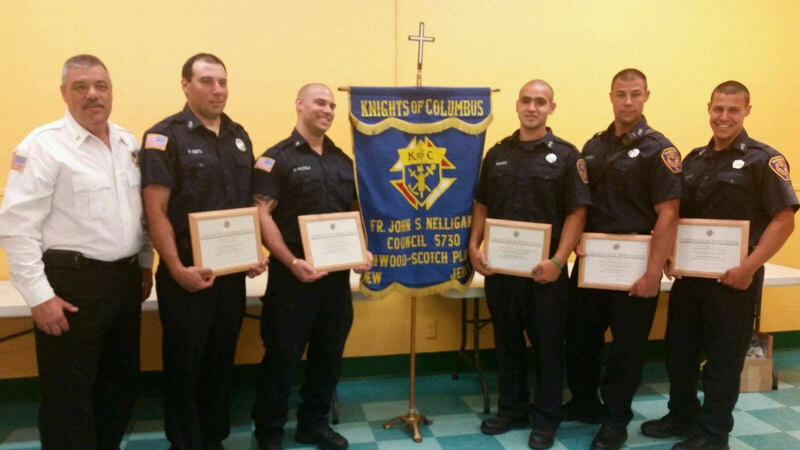 Frank Dietl, FF Dan Piccola, FF Tony Grasso Jr, Lt. Kris Piccola, FF Brian Piccola and FF Zach Weissglass (not pictured) received Knights of Columbus Shield Awards for outstanding service for a technical rescue. 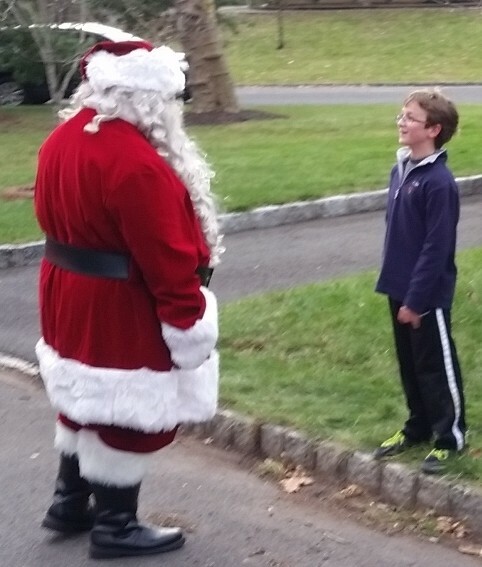 In 2013 a senior citizen had fallen down a steep embankment near the NJ Transit tracks. 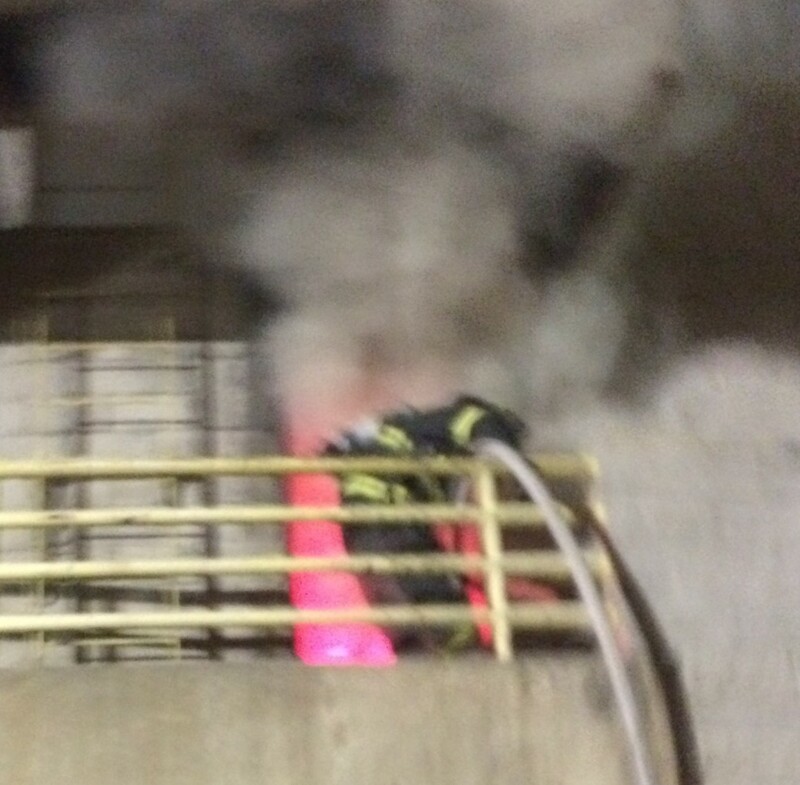 Engine 8 trained on basement fires, and fires on Division 1 with extension to Division 2. 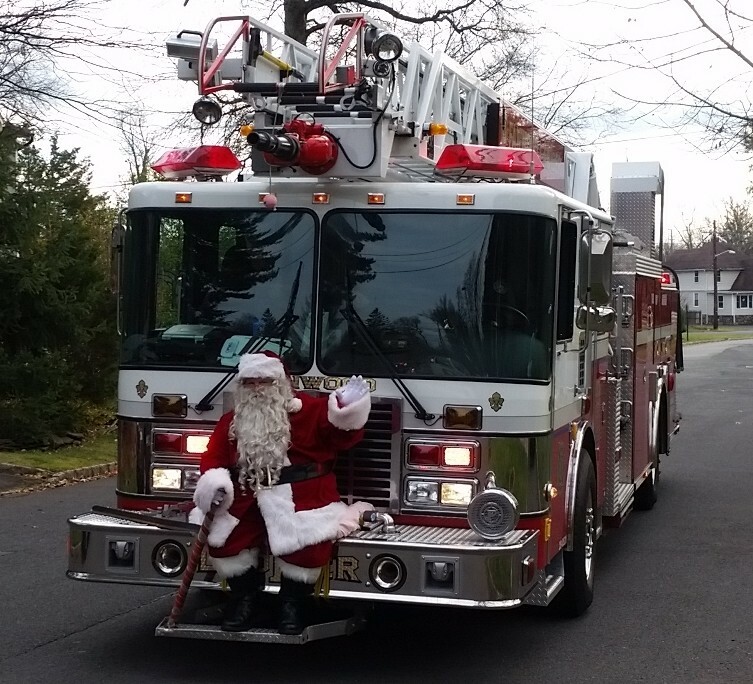 Ladder 1 conducted Search and Rescue evolutions. 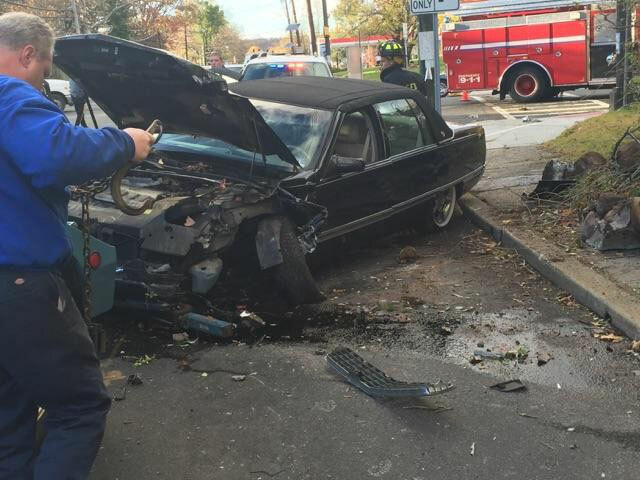 Fanwood FD responded to Terrill Road in front of Terrill Middle School to assist SPFD at a serious two car MVA with extrication. 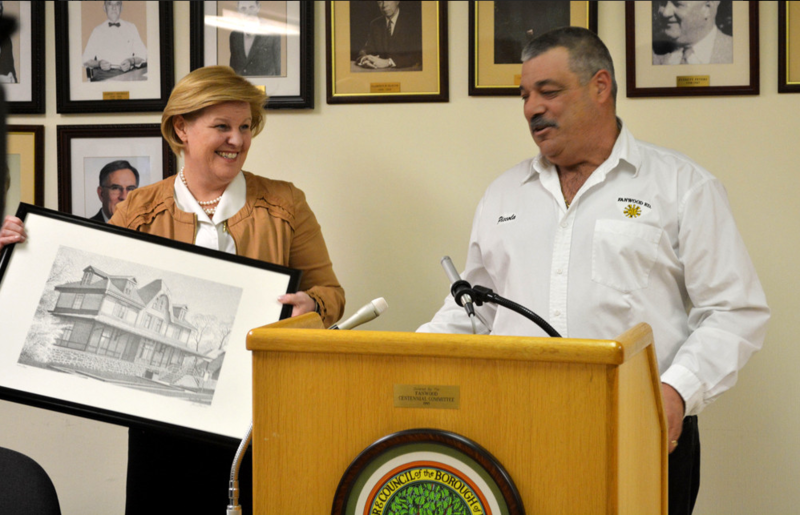 The Fanwood Borough Council honored fire chief John Piccola by naming him "Volunteer of the Month". 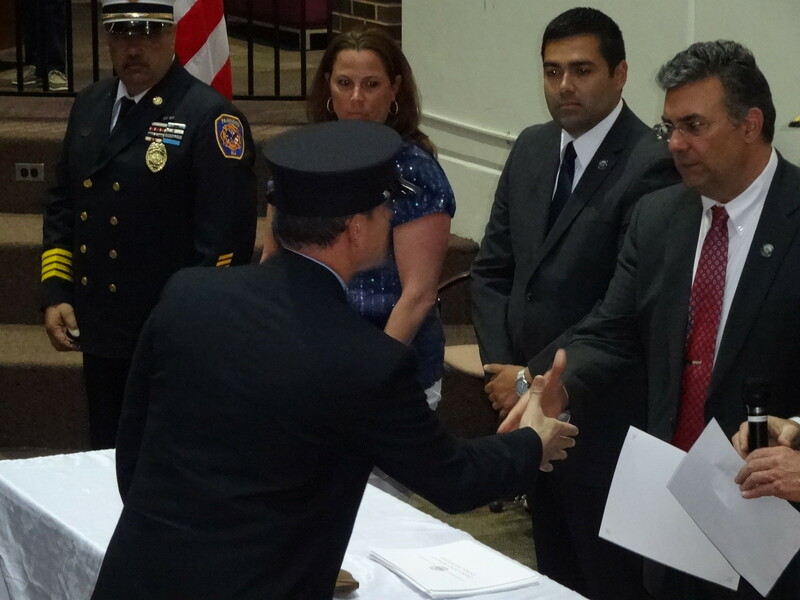 This is John's second tenure as chief. 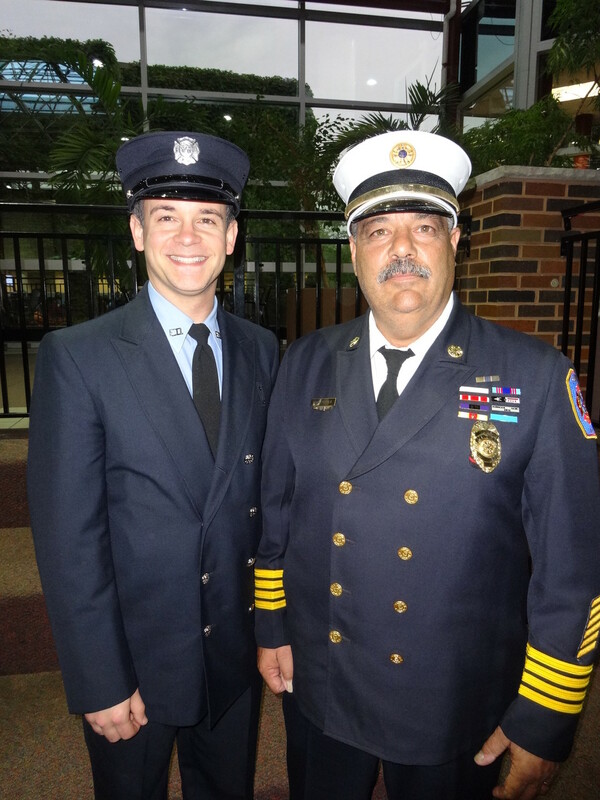 He has been on FFD for almost 25 years, and was previously a member of the Berkeley Heights FD. 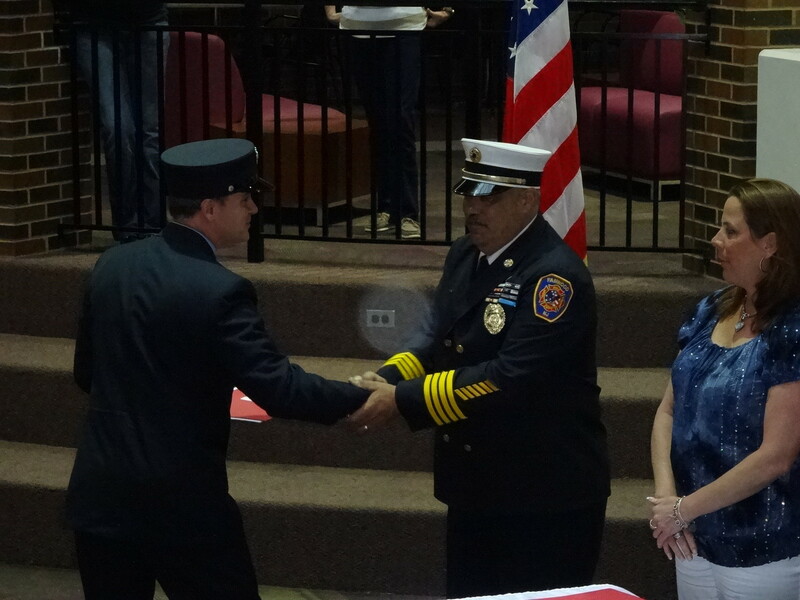 His family and many FFD members were on hand to watch him receive this much deserved distinction. 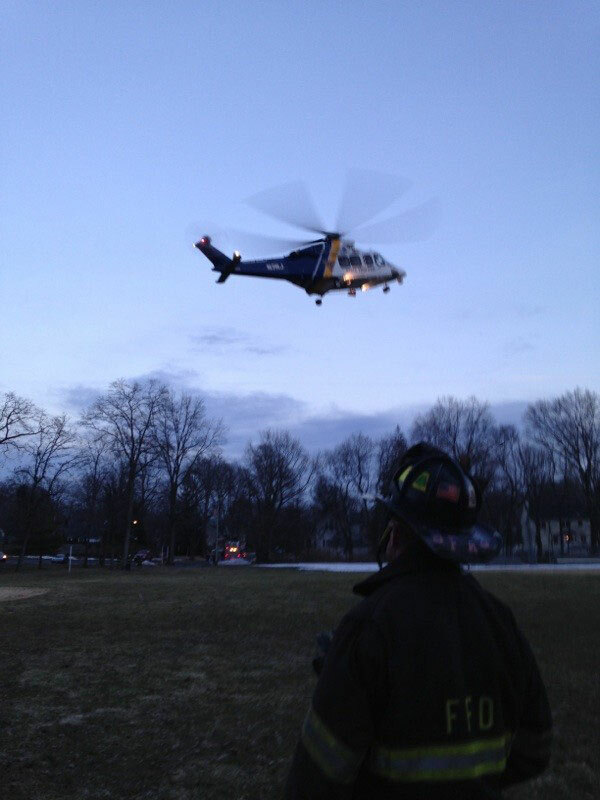 FFD set up a landing zone at Forest Road Park for an injured resident who was transported by NorthSTAR (Northern Shock-Trauma Air Rescue) Medevac to Robert Wood Johnson Trauma Center in New Brunswick. FFD then provided scene lighting for the Fanwood Police Department and Union County Sheriff's Office to process a related crime scene. 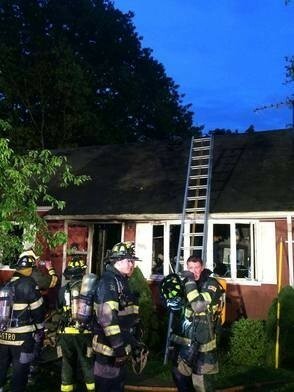 Ladder 1 responded on mutual aid to a structure fire on Rahway Ave in Scotch Plains. 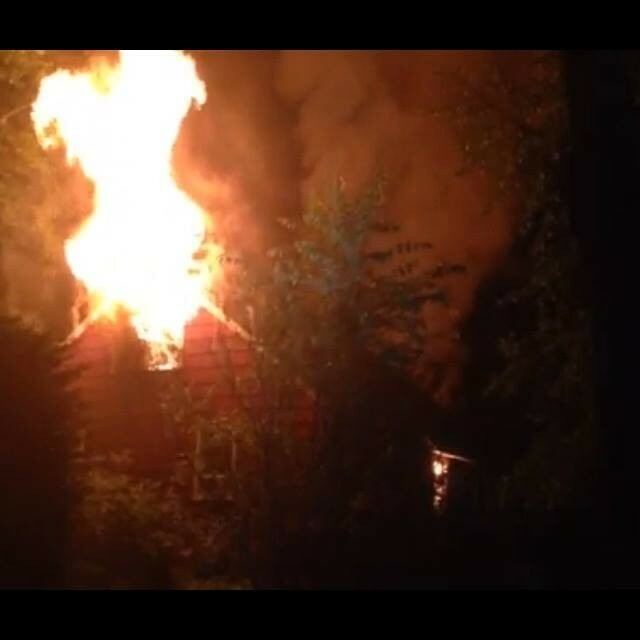 Ladder 1 responded on mutual aid to a structure fire on Prospect Ave in Scotch Plains. Despite challenging conditions (heavy fire, deep snow, freezing temperatures) the fire was brought under control quickly and no one was injured. 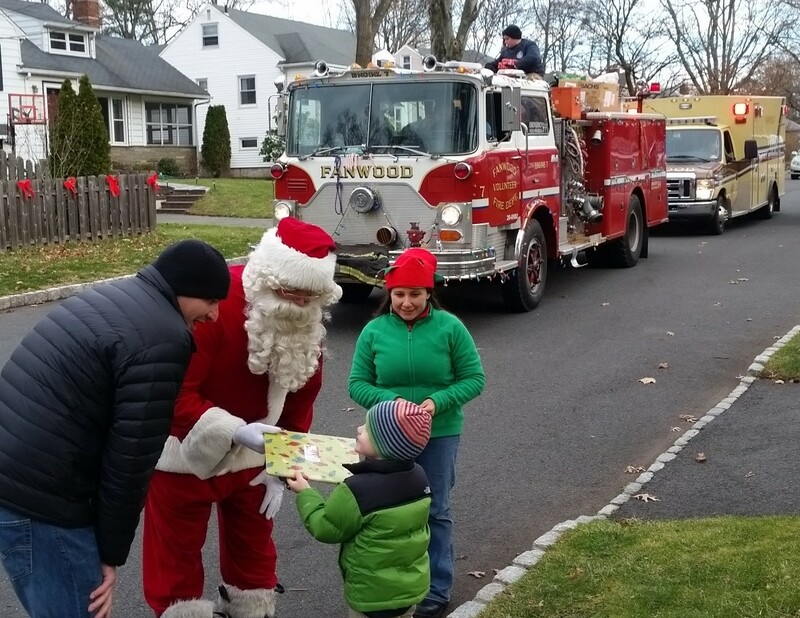 Fanwood FD responded to a chimney fire at a house on North Avenue. The fire was contained and crews checked for fire extension. There were no injuries. Fanwood FD set up a medevac landing zone at Forest Road Park for a victim who was hit by an NJ Transit train near the Hetfield Avenue bridge.